Eccentric high fashion meets buttoned-up Madison Avenue in Danielle Steel's captivating tale of two perfect-for-each-other people from two wildly different worlds. 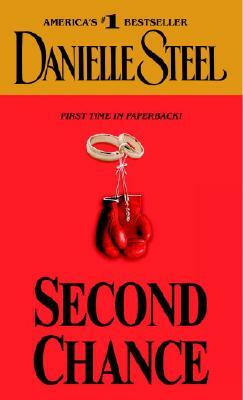 In a fresh, funny look at what happens when a woman who has everything finally meets her match, Danielle Steel proves that, in life and love, it's never too late for a second chance. As editor-in-chief of New York's leading fashion magazine, Fiona Monaghan lived a life as hectic and high-toned as the fashion world itself, jetting back and forth between her stylish Manhattan brownstone and the couture shows of Europe. With closets stuffed with Fendi, a snoring bulldog named Sir Winston sharing her bed, and a houseman who favors gold lame and borrows her shoes, Fiona was utterly content with her life. Until the sweltering June day John Anderson strolled into her office. After a dinner date left them both wanting more, Fiona impulsively invited John to the Paris couture shows. And in the most romantic city in the world, somewhere between the magic of the runway and the stroll along the Seine, Fiona let this man into her heart. A widower with two daughters, John Anderson was nearly Fiona's opposite in every way. As conservative as she was freewheeling, John was both amused and appalled by Fiona's world of high-strung designers, anorexic models, and high-heeled housemen. But within weeks of their return to New York, John was making friends with Sir Winston--and Fiona was making room in her closets. It didn't take long for the dominoes to start falling. First, John introduced Fiona to his daughters, their bloodthirsty Pekingese, and a snarling housekeeper straight out of Hitchcock's Rebecca. It was hate at first sight. Then, after a dinner party with John's biggest client goes disastrously awry, Fiona and John's relationship began to unravel with alarming speed. What happens next will set Fiona on a journey filled with pain and revelation, awakening and change....For when she returns to Paris alone and takes an amazing risk, an extraordinary series of events begins to unfold. And as the snow falls on the city of light, Fiona is about to get the surprise of her life: a second act she never saw coming. In a dazzling tale of modern misadventures and career-crossed relationships, Danielle Steel brings us into the lives of two unforgettable people as they love and laugh, struggle and survive. With unerring insight, she captures the heady magic of instant attraction, the challenges of change--and the hope that comes when we dare to do it all over again.